Reni finds joy when she is in contact with nature and feels connected to her true essence. She started traveling with her surfboard and a handful of things before she turned 20. The vastness of the ocean, the energy of the waves and the freshness of the water made her feel alive and centered at the time. Surfing became an important part of her life. In search of the perfect waves, she found herself discovering wonderful places and made decisions that maybe seemed unreasonable for many friends at home by that moment. Unlike the conventional way, she took risks, learned from her mistakes, went up and down, and around - but always stayed true to her idea of creating a meaningful, joyful life. After having finished her studies in Switzerland, Reni moved away from her home country and settled in Lima where she spent the past seven years. 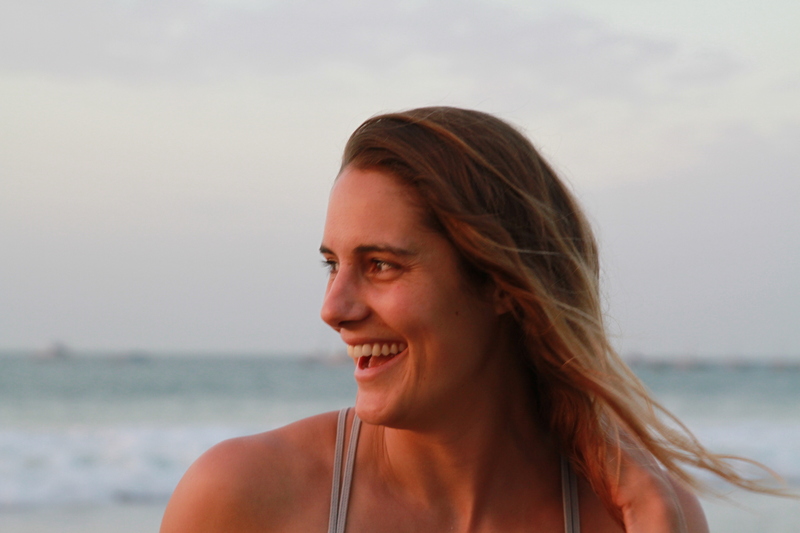 At the pacific coast of Peru, she enjoyed plenty of surf and built up her own yoga school. Yoga, in the beginning was a way of balancing out her tired body after surfing, and more and more became a life philosophy and serious routine. She immersed into the Yoga science, and found in it the perfect tool to promote health and healing, for herself and others. Recently, Reni moved to Brooklyn, New York, where she plans on deepening her knowledge, practice and teaching in Yoga. In order to keep on traveling, surfing and connecting with like-minded, she started a new project with her Swiss companion Juy Würtenberg: FLOATLOVERS (www.floatlovers.com) embodies both their passions, Yoga and surfing. FLOATLOVERS journeys are especially designed yoga retreats at exquisite places, close to the ocean, and scheduled during the best wave seasons. A FLOATLOVER is a person that “loves to float” which means going with the flow of life, living lightly, being curious, moving freely and investing in personal growth. The FLOATLOVERS team offers interested people that are looking for meaningful vacations, want to deepen their personal practice or just take some time off, the ideal opportunity for exploring, experiencing and learning.